This glove gets the job done! These split leather gloves feature oak color or natural color leather. 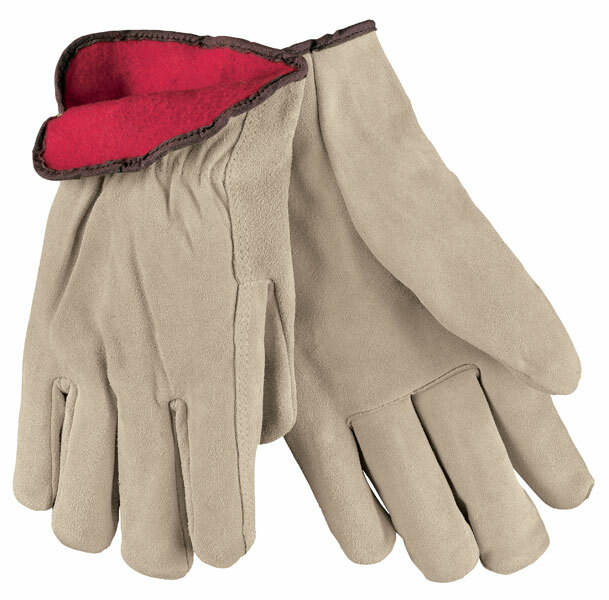 Characteristics include a good balance between abrasion resistance, dexterity, durability and comfort.The 3150 series features premium tan split cowhide leather, fleece lining for warmth, shirred elastic back, and straight thumb.